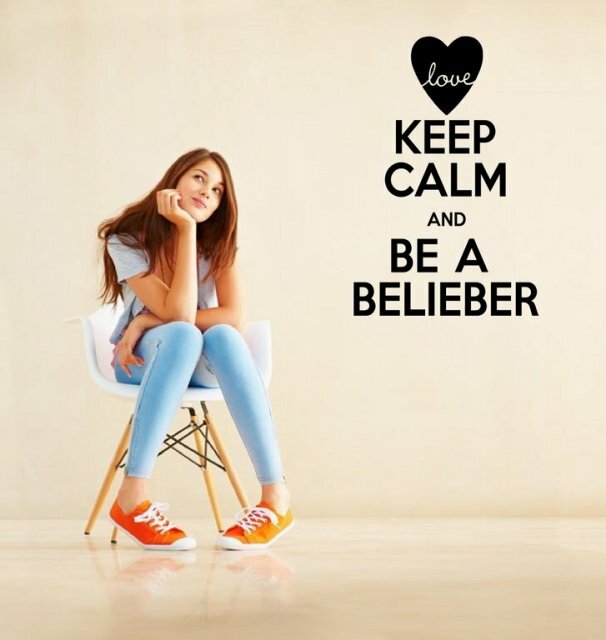 Justin Bieber's fans now have their own version of keep calm wall art. 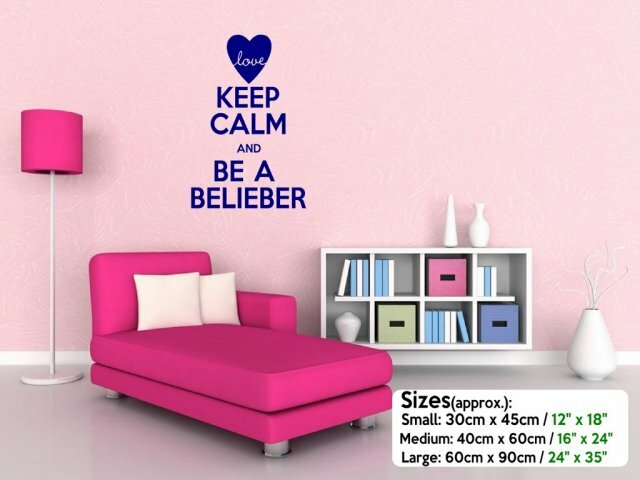 Ideal wall decor for someone who changes their mind a lot or for rented accommodation - this wall sticker, despite its amazing weather proof durability, can be removed without leaving a sign of ever being applied. Get yours, choose your preferred size and colour.